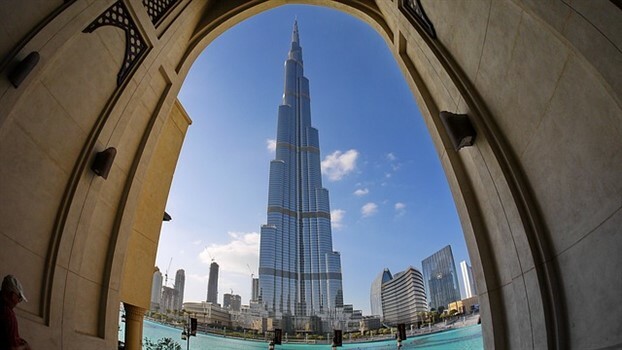 Rising 823 meters high, this phenomenal skyscraper is the World’s tallest building. Gathering a huge crowd of travellers, it is a record setting masterpiece with stunning views. The building has the highest observation deck on the 124th floor. It’s a delight to visit the sky soaring Burj Khalifa. Inclusive of the world’s highest restaurant, Burj has undeniable excellent works of art and architecture. The Dubai Mall is the best place for all shopping freaks. 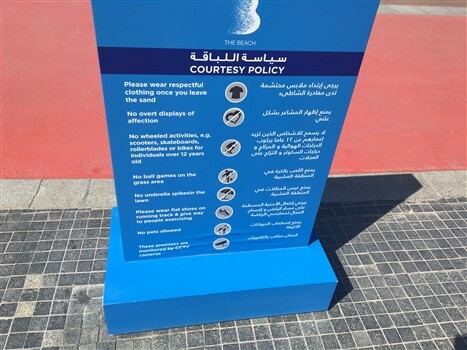 It has entrance to both Burj Khalifa as well as the Dubai Aquarium. 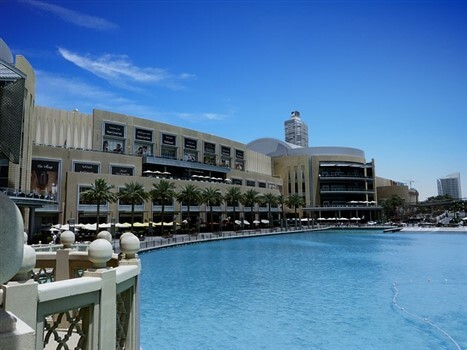 The Mall is loaded with endless entertainment and fun options which make it another must visit in Dubai. Annually, Dubai Shopping Festival and Dubai Summer Surprises Festival are held inside the mall. You could also enjoy blissful live music and fashion shows there in. Originally, served as the country ship harbour, Dubai Creek is the most beautiful natural place when you see when you travel to Dubai. It’s a salt water creek differentiating two districts of Bur Dubai and Deira. 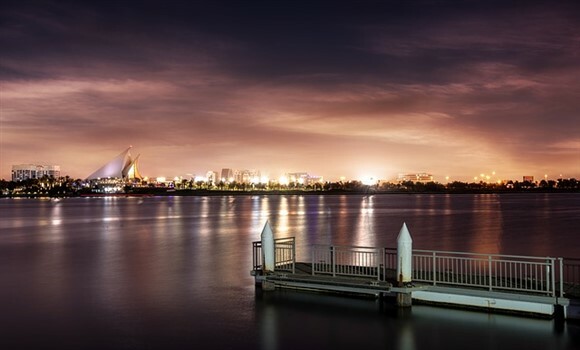 The place is great for a blissful stroll in the soothing wind along the water side. The finest example of Islamic art work is this lit and beautiful mosque of Dubai. 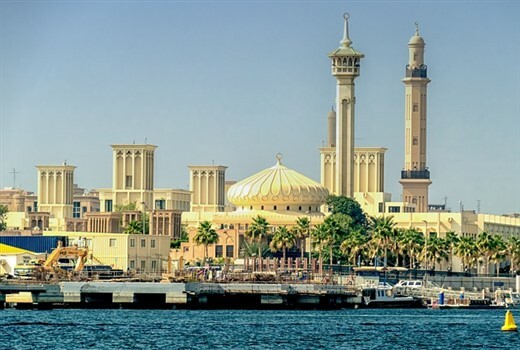 Jumeirah Mosque is the only mosque that welcomes non-Muslim guests six days in a week. Stunningly carved, it is renowned as the most photographed mosque in Dubai. Dubai Museum is the oldest existing traditional building of the emirate. It features a sequence of artistic works from the era before the discovery of oil. The place is best to unravel the history of the Arab including the majestic Al Fahidi fort and exhibit works of historical Dubai highlights. The museum is packed with colourful and antique things unfolding Dubai’s history. 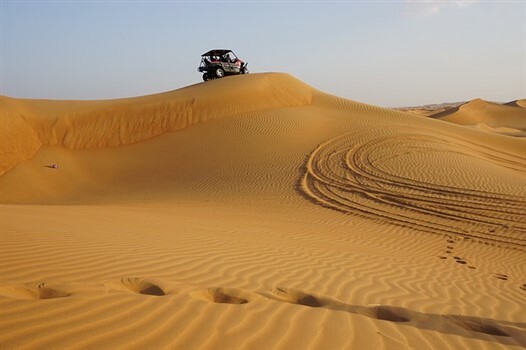 One of the best activities in Dubai is the “dunes dinner”. You will drive your 4-wheeled drive land cruiser (they will give it to you) in the desert to the east of Dubai. You can even ride camels or stay in an Arabian tent under the stars. You can buy your ticket here or ask your hotel to arrange for you. A breathtaking experience of a display of the fountains dancing to music! The magnificent fountains playing every 30 minutes, an attraction free of charge where you can go and enjoy daily from 1PM-1.30PM and from 6PM-11PM. Amidst the sky-scraping Burj Khalifa and a series of luxury shopping malls, is the grand city emirate of the United Arab Emirates, ‘Dubai.’ The city is so developed that it is considered as one of the leading cities of the world. Apart from being a top business hub, Dubai is a fascinating place to travel and explore. Located in the country of warm weather, it dwells between the deserts. If you are looking for a superbe holiday spot, Dubai is your place. 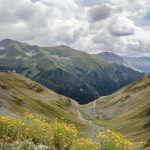 Everything you might think of can be mixed and found in this amazing place; from white sand beaches, to amazing skyscraper, to miles long desters. 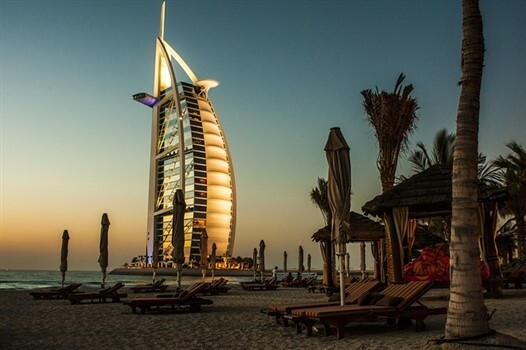 Counted as an expensive place to visit, Dubai is the land of profound traditions and royalty. In the middle of the desert, Dubai has the sun at its hottest possible which makes the city life dehydrated without air conditioners. But, the pull of the city is so enthralling that every year; thousands of foreigners are seen arriving in Dubai. Its well known that Dubai is an luxurious place therefore might be more expensive that you are used with. This fact is true, but only if you go to some places where are well known for that, like a famous night club or for example if you go to dine in Burj al Arab hotel. For example, we had lunch at an American spot with gorgeous views on the beach called Eggspectation and our brunch consisting of eggs, coffees and croissants costs us around 30€ for two persons. In the evening we eat at an amazing restaurant with arabic kitchen and astonishing view of Burj Khalifa and the check did not exceed 60€. If you are living in Europe you will find that the prices are kind of like home. Of course you can make it as expensive as you like, but I just want to tell you that you can visit Dubai on a budget too. Another thing what had me surprised me was how open and accepting are the locals of Dubai when tourists are visiting their country. Majorly, the city has Islamic roots with most of the population being Muslims. 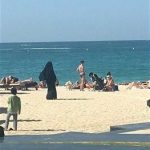 Although, when at the beach for example, i captured this where a lady wearing a burka and another one wearing a swimsuit were sharing the beach without any troubles. 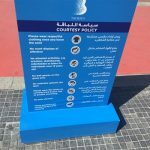 At Dubai Marina beach you can find a sign with courtesy policy you must follow if you don’t want to disrespect the locals. The rules i did not find them more than the usual common sense which everybody must have in any country they visit. 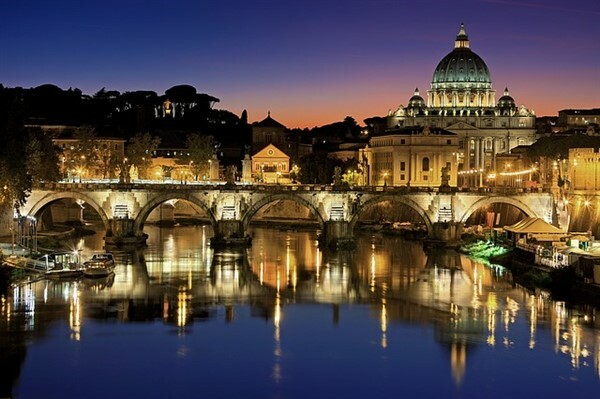 If you love traveling, then you are in the right place. 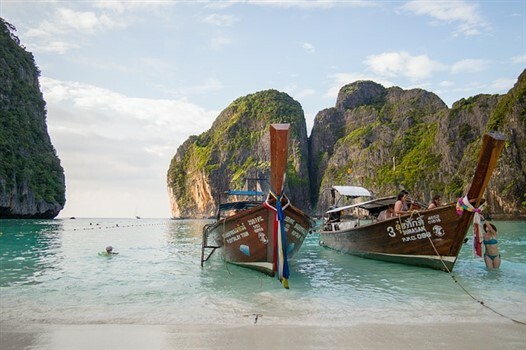 Here you will read all kind of information about the all touristic places in the world.